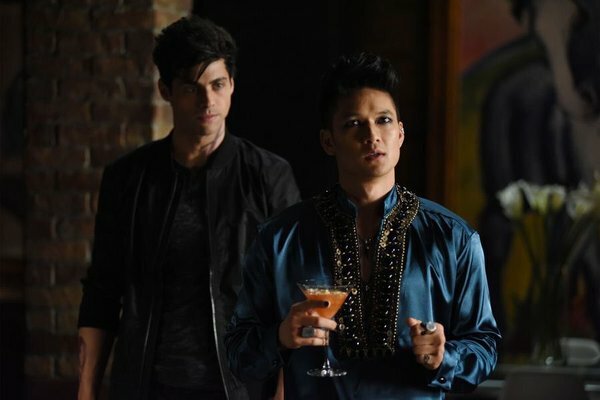 In this week’s episode, titled ‘Blood calls to Blood Introverted’, Jace tries to understand what happened with his father, while the rest of the Shadowhunters try and figure out how to help Isabelle. The world is on a tailspin as Michael Wayland is alive. The people he left behind can’t believe it and are trying to understand it. Clary is not sure if she likes him especially considering the falcon story that Jace had told her about him. And Michael doesn’t like that Clary is making Jace soft. So what does Michael do, he creates a wedge, a subtle one, between Jace and Clary. He won’t need to worry about that long as at the end he reveals that he is really Valentine and that Jace and Clary are siblings. If you are a fan of the book, you already knew this twist, but if you were like me, I was still surprised by it. I didn’t know if they would work it into the book considering the theming of it, but I was surprised by the delivery. Isabelle is in a world of trouble as the Clave are looking to make an example out of her. Lydia and Alec are trying to help her but Lydia is more concerned about saving her job. She relies on the help of Magnus to help get her out of this sticky situation. If she doesn’t give up the cup in the next 24 she will be exiled. In the next episode, Jace struggles with the news of being Valentine’s son while Alec struggles with whether or not to marry Lydia. This entry was posted in Books, TV and tagged Freeform, Shadowhunters, The Mortal Instruments.